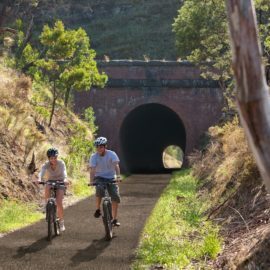 Trot, canter or gallop in the 'hoofsteps' of Victoria's pioneers. The mountains, rivers and trails await. Whether you’re a beginner or experienced, want to ride for a few hours or a few days – horse riding is an experience not to be missed. 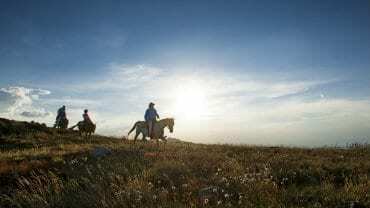 Trail rides can accommodate complete beginners through to experienced riders and range in length from two hours to five days. You’ll discover high mountain trails, icy mountain streams and the sense of peace that comes from bonding with your horse and the land. 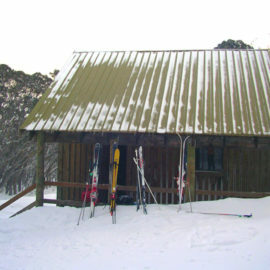 Feel the exhilaration of cantering through High Country clearings and enjoy the magical swirl of snowgums at sunset. 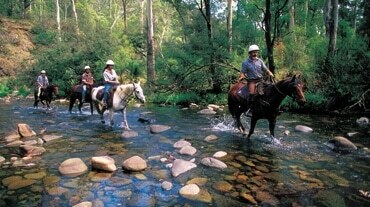 You don’t have to be an expert to experience the pleasures of the High Country on Horseback. 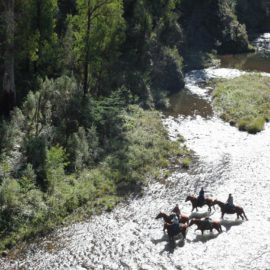 Your trail riding experience can be simply riding side by side with someone for whom stock riding is still a way of life or explore the High Country on your own. Whatever way you choose to go you could find yourself trekking through the same valleys and fording the same streams where mobs of cattle are regularly driven, seeing the bush in the way that only pioneers and generation of rugged cattlemen and woman have seen it. 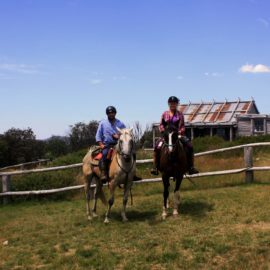 There are many inviting bridle tracks and trails to explore, the Howqua Hills and the area around Razorback Hut offer a wonderful High Country horseback experience. 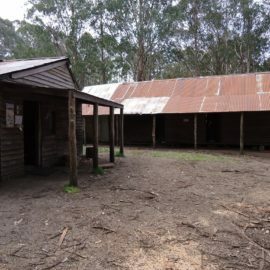 Both areas offer riders designated yards for overnight stops, you may even stay at one of the original cattleman’s huts. Of an evening, campfire smoke mingles with tales of days gone by and if you’re lucky, you’ll be treated to the starry spectacle of the Milky Way uninterrupted by city lights. 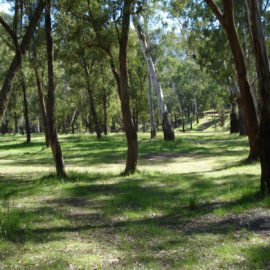 For more information download the Parks Victoria Alpine National Park Horse Riding park note.